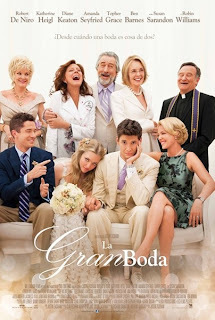 Reparto: Robert De Niro (Don Griffin), Robin Williams (Padre Monaghan), Amanda Seyfried (Missy O'Connor), Katherine Heigl (Lyla Griffin), Topher Gracem (Jared Griffin), Diane Keaton (Ellie Griffin), Susan Sarandon (Bebe McBride), Ben Barnes (Alejandro Griffin), Christine Ebersole (Muffin O'Connor). Producción: Anthony Katagas, Clay Pecorin, Richard Salvatore, Harry J. Ufland y Justin Zackham. Productoras: Two Ton Films y Millennium Films.